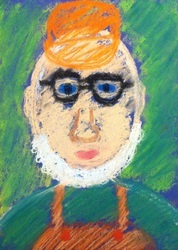 Sixth grade students reviewed the 19th-century art movement known as Impressionism. 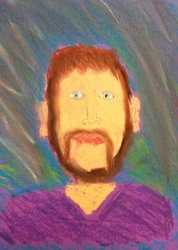 They had previously studied landscape paintings by French Impressionist Claude Monet. After our review, students were introduced to portraits by Mary Cassatt, an American Impressionist . 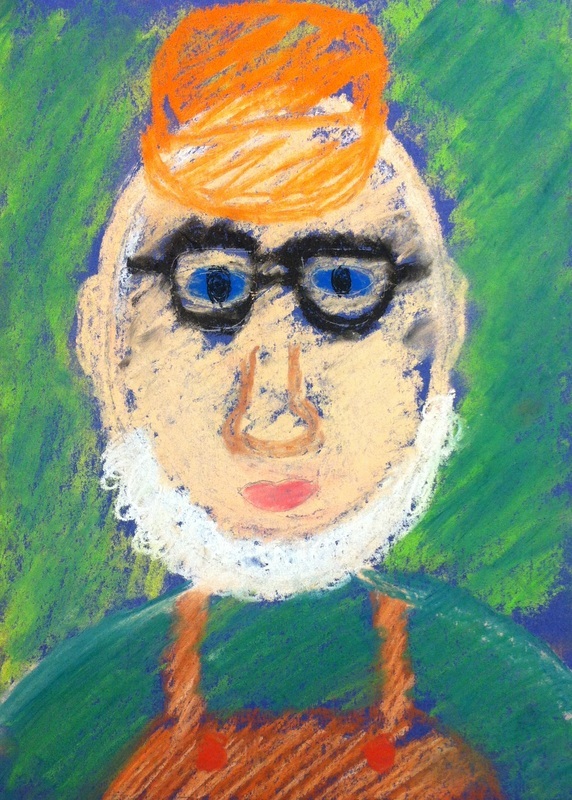 Students described the Impressionist style of visible brush strokes or pastel marks. 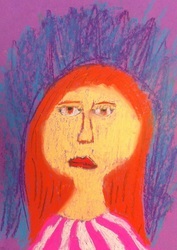 The class identified a common theme of women and children in her work. Students read a biography on the artist and discovered the impact she made to art history as an American painter and as one of the first successful women artists. 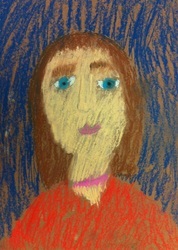 During our study of Cassatt, we looked at a variety of her portraits, particularly the pastel works on paper. 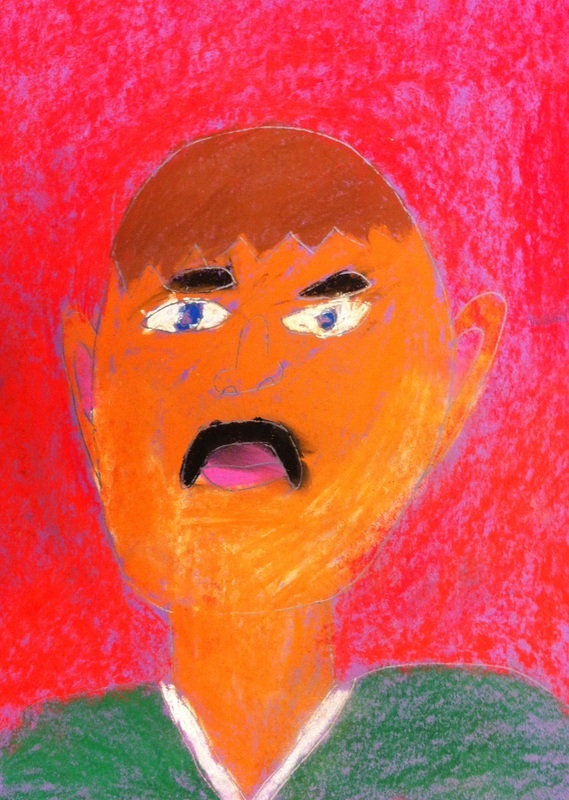 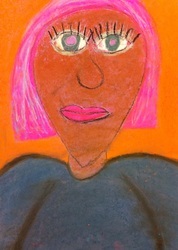 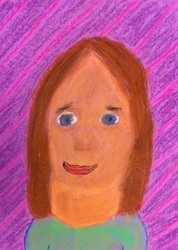 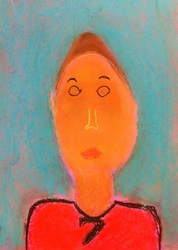 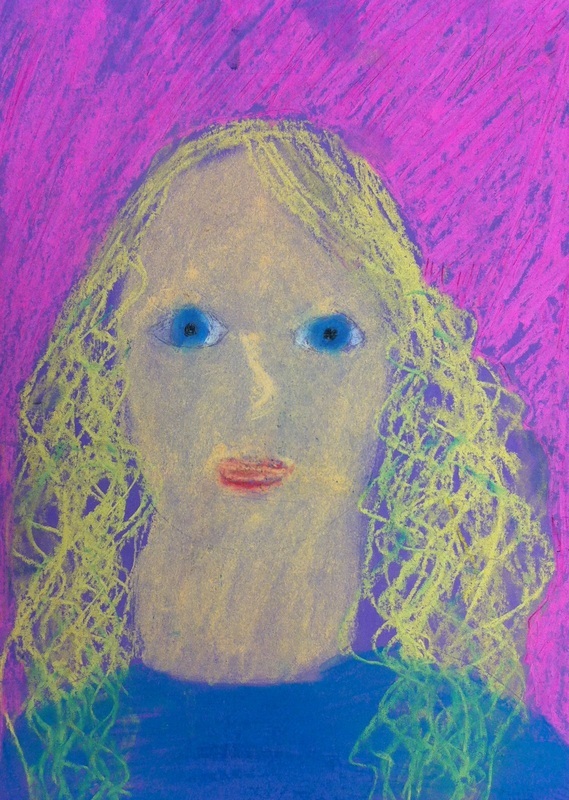 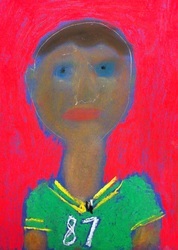 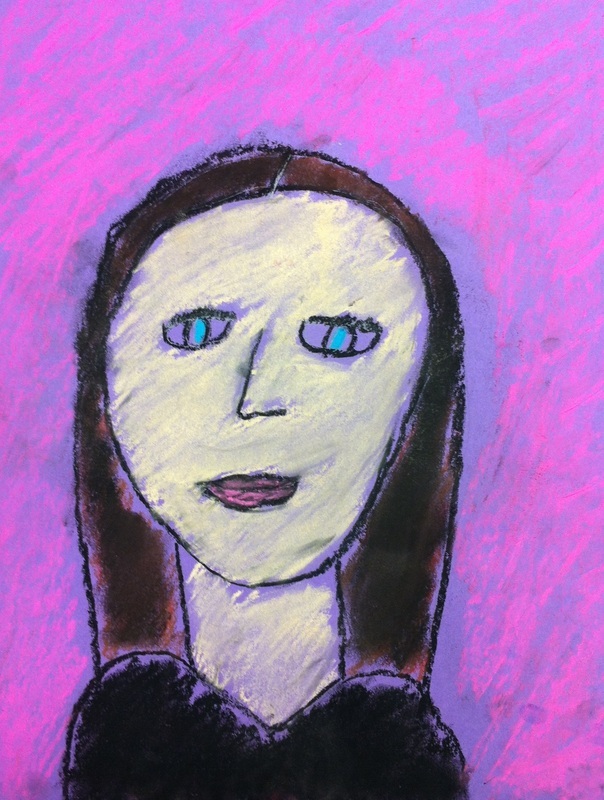 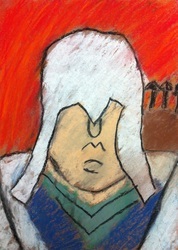 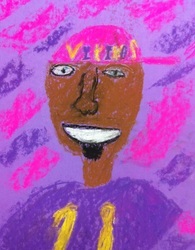 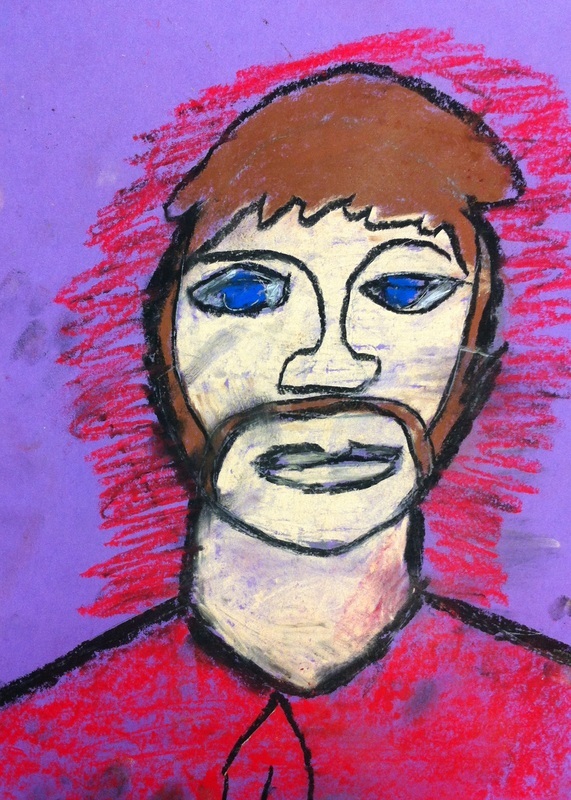 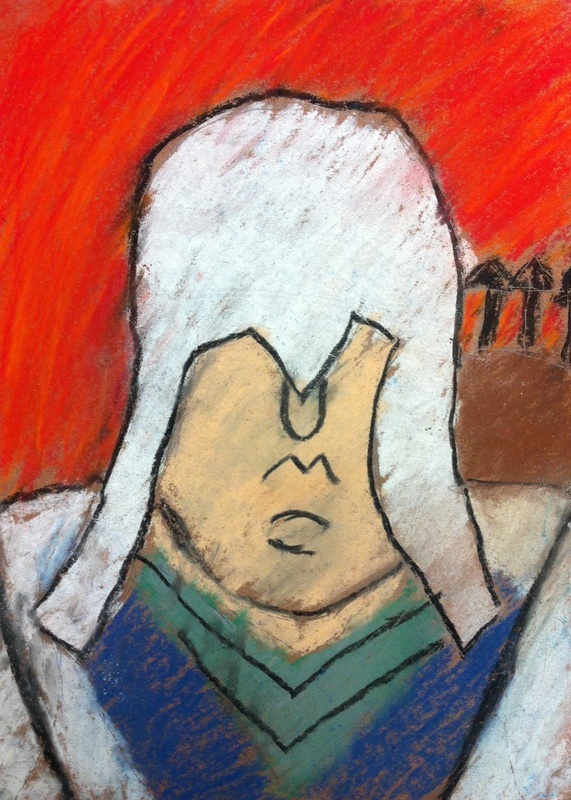 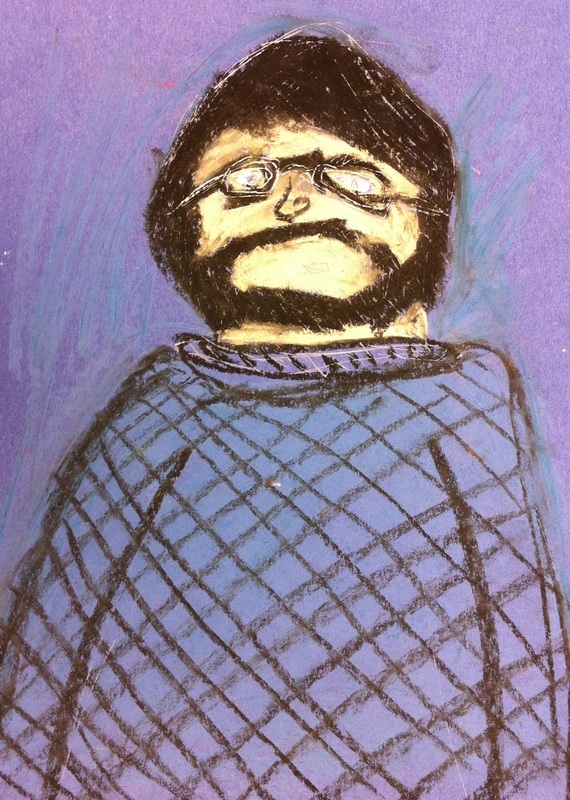 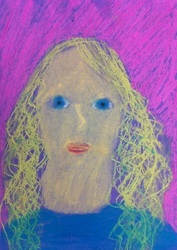 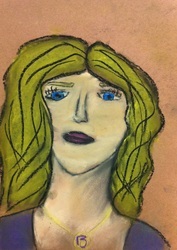 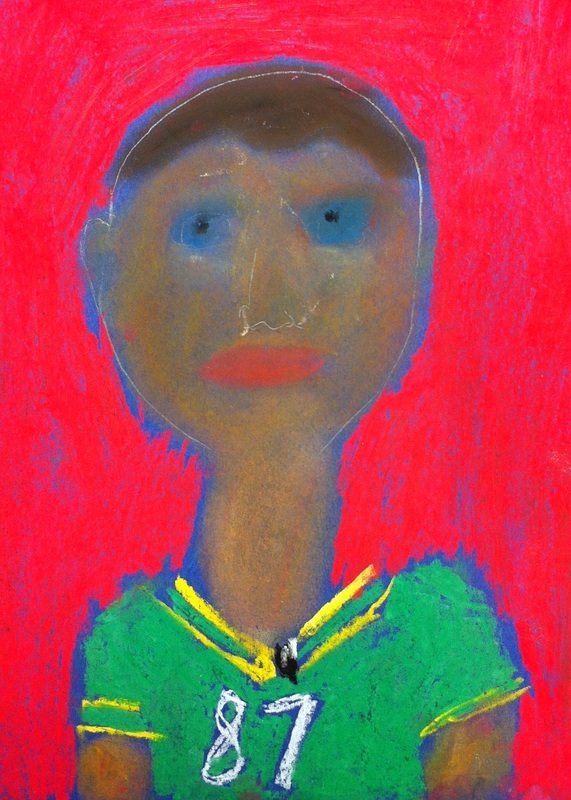 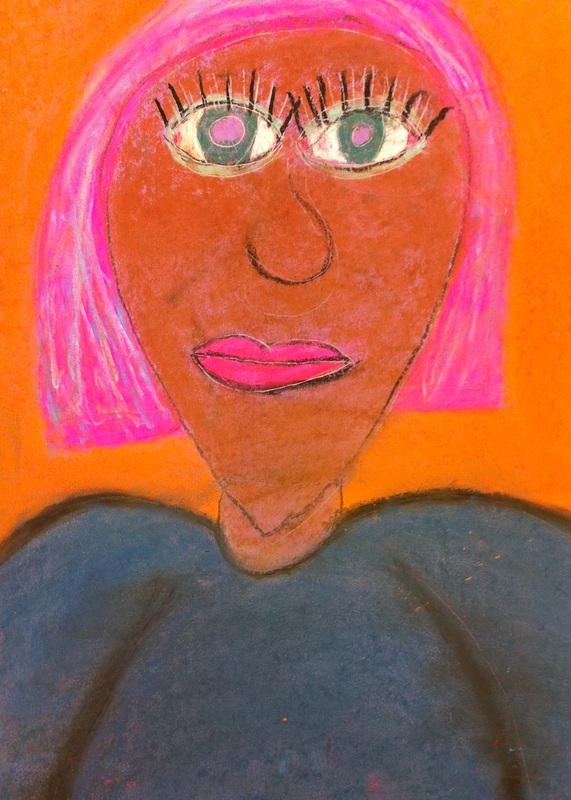 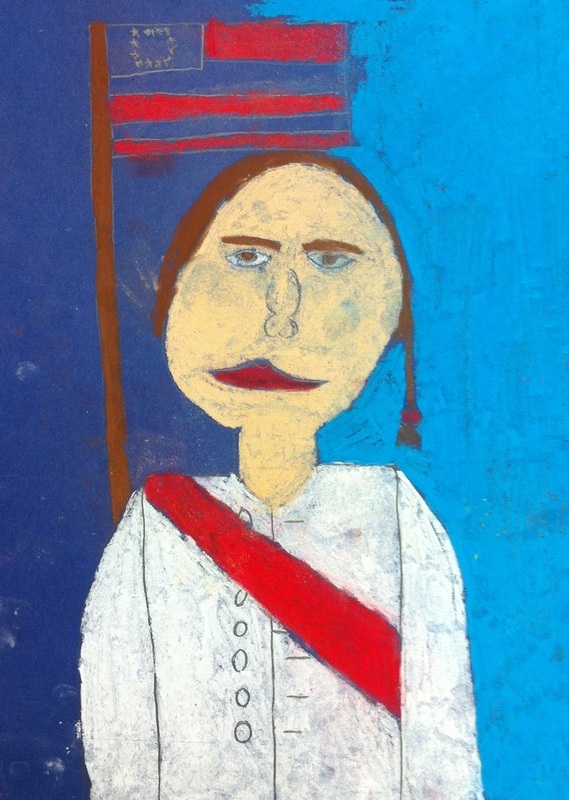 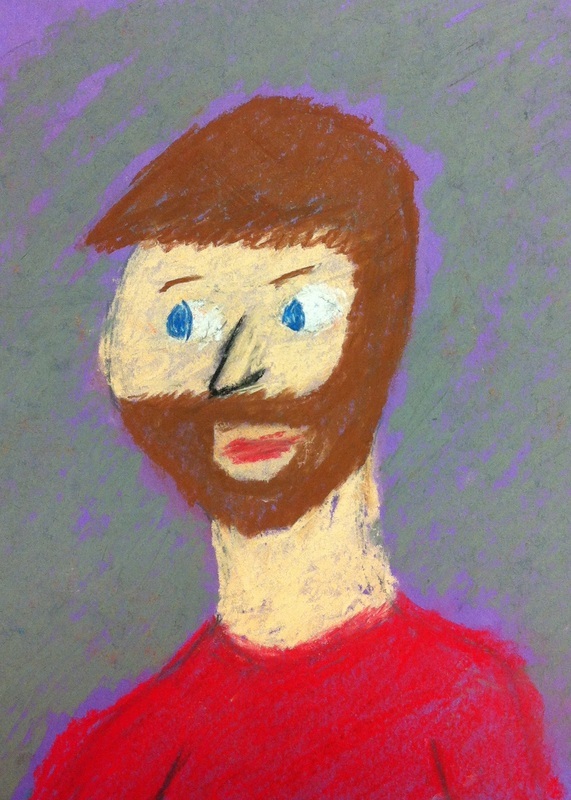 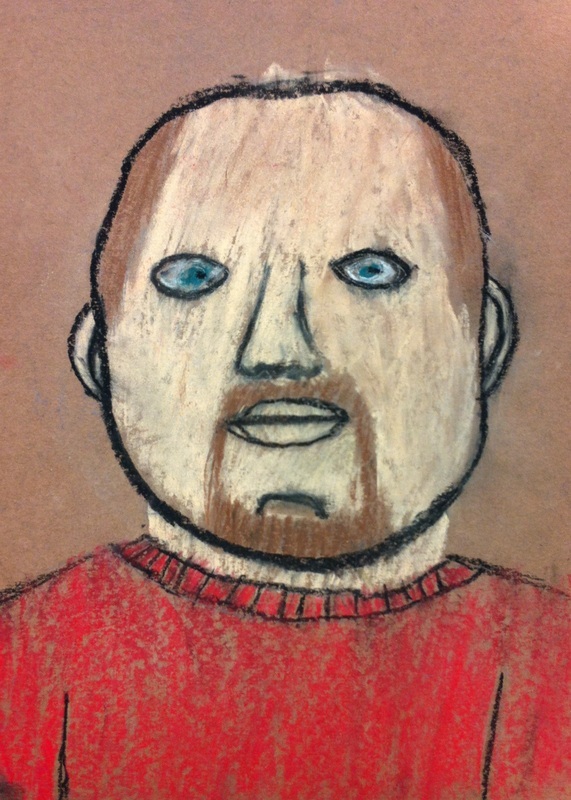 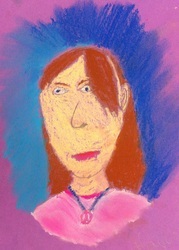 Each student was asked to create a portrait drawing of his or her own personal hero. 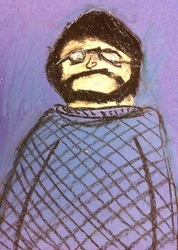 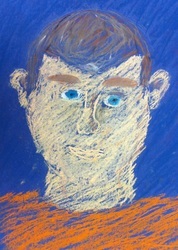 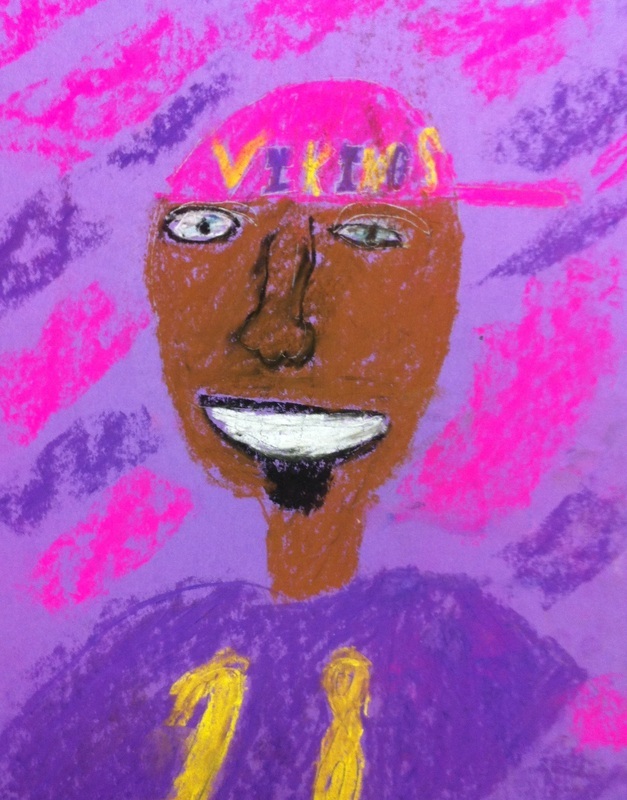 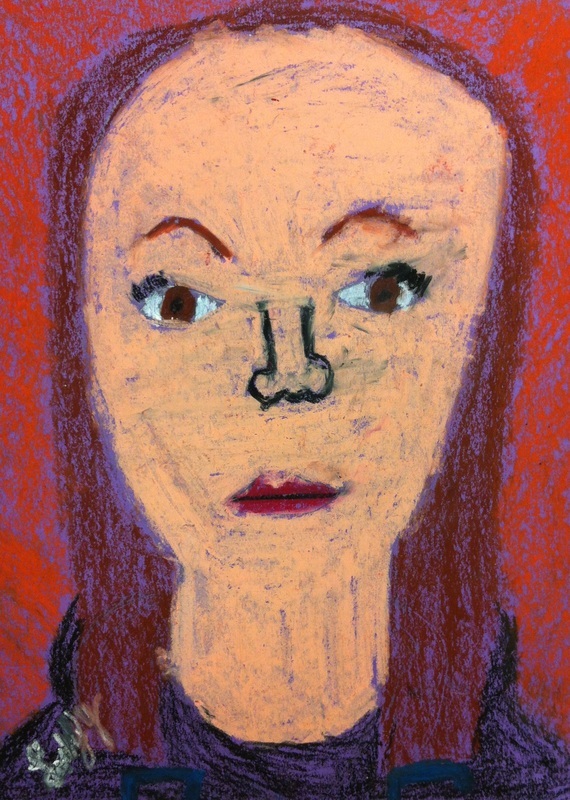 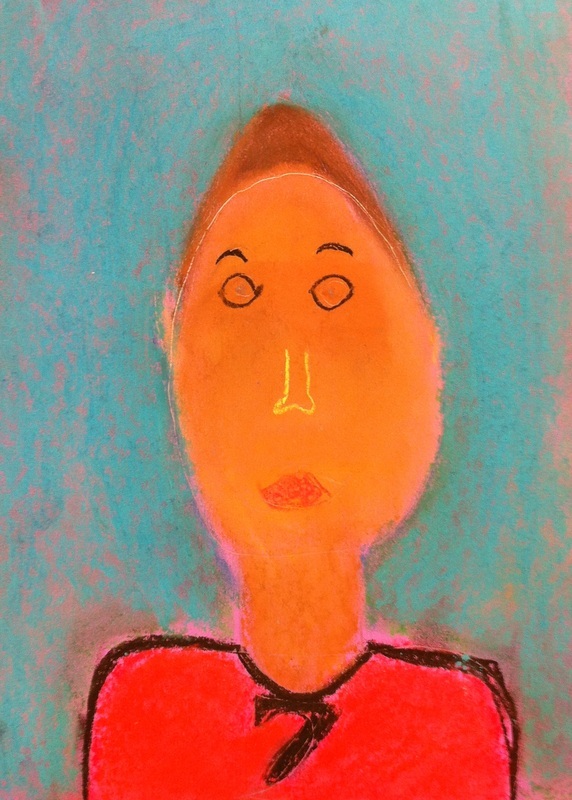 Students were encouraged to use the Impressionist style of making visible marks with their pastels, and creating an open composition similar to those of Cassatt. 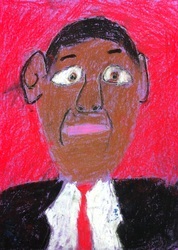 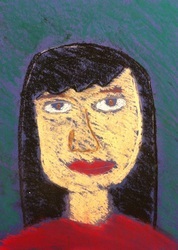 Once the portrait was completed, students were asked to write a statement about the subject of their artwork. Students chose family members, friends, celebrities, and fictional characters as personal hero subjects.